With a career dating back over 25 years and 30 million units sold, the fact X Japan are just now getting widespread exposure in North America seems like the punchline to a cosmic joke. It boggles the mind to think that while acts like Loudness, Anthem and EZO were making inroads on the Western metal market in the ‘80s, a band more successful than all three combined in their native Japan remained a relatively unknown entity in North America and Europe. Word of mouth trickled through to various corners of the world, of course, but it wasn’t until the rise of the internet that X Japan became an international cult favourite. By that time, however, the band had called it quits (in 1997) and guitarist Hide had passed away (in 1998). It seemed that the band was destined to remain solely a CD / internet staple for the faithful, but X Japan’s surprise reunion in 2007 led to speculation they had their sites set beyond Japan. The international success of countrymen Dir En Grey, who single-handedly blew the doors open for the Visual Kei trend outside Japan – a movement inspired by X Japan in the ‘80s - served to fuel the rumours. The rumbling became fact in August 2010. 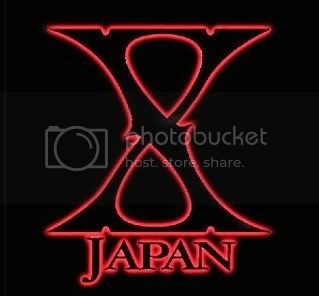 No question, the phrase “better late than never” has taken on special meaning for X Japan fans in North America. One such show was an afternoon slot at the Lollapalooza Festival in Chicago in August 2010, X Japan’s first ever US live gig. In the aftermath they were heralded by many as the best band on the bill, including a large number of attendees that had never heard of X Japan before that day. Touring North America without the benefit of a US record deal or a new album is a risk not very many bands would be willing to take. Call it a testament to that confidence. Historically – and one needs only to cruise YouTube for proof – X Japan’s shows are epic spectacles performed for crowds numbering 40,000+. The US and Canadian shows will be much smaller, and word had it at press time that the number of trademark ballads performed would be reduced. Call this the calm before the storm, as the band is gearing up for their first official North American album release in early 2011, potentially opening the doors for larger and longer tours. 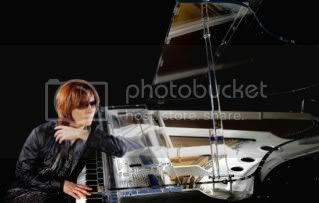 With that in mind, Yoshiki went back and rewrote the lyrics several of the band’s most popular songs in English. On paper, certainly, and frontman Toshi has been delivering the goods live, but it has to be tough going back and re-learning familiar songs in a new format.